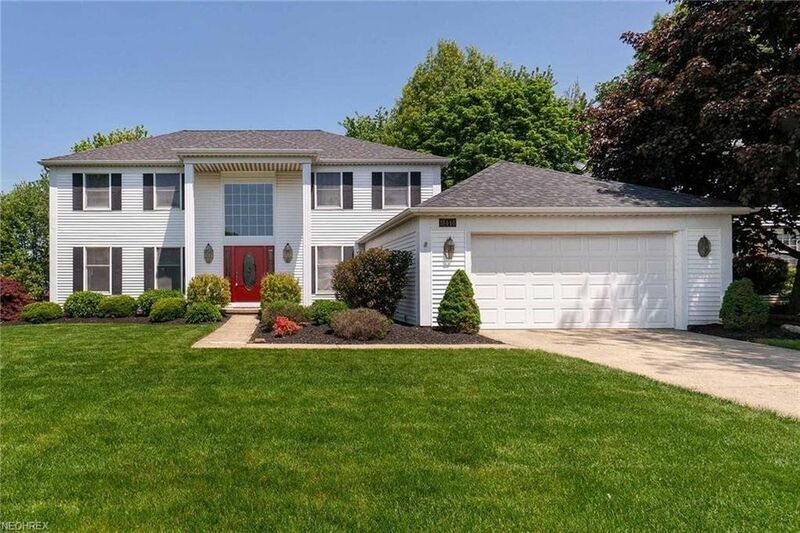 From the Super Curb Appeal to the Open Area Back Yard this Spacious Updated Parkview Built Colonial is Sure to Please... Open Two Story Foyer w/Newer Front Door and Palladium Window! Updated Eat-in Kitchen with Cherry Cabinets and Upgraded Laminate Counters and Gorgeous Laminate Flooring Foyer through Kitchen! All Appliances can stay; Fridge, Stove, Dishwasher and Microwave! Vaulted Master Suite w/Lots of Closet Space! Updated Baths off Master and Hallway! Family Living is well planned with First Floor Den, First Floor Laundry (washer & dryer can stay), Formal Living and Dining Rooms! The Family Room is Open to Kitchen Dinette and has a Newer Slider Door to Extra Large Deck, a Brick Hearth Wood Burning Fireplace and Access to Half Bath! The Basement is Finished with a Fantastic Recreation/Game Room! Attached Two Car Garage with Opener! Located in Prestigious High Point with Community Pool and Clubhouse also just a short walk to Playground with Tennis and Basketball Courts! One Year Home Owners Warranty is Included! Be First or You Are Last! Check this one out Today; you will be glad you did!